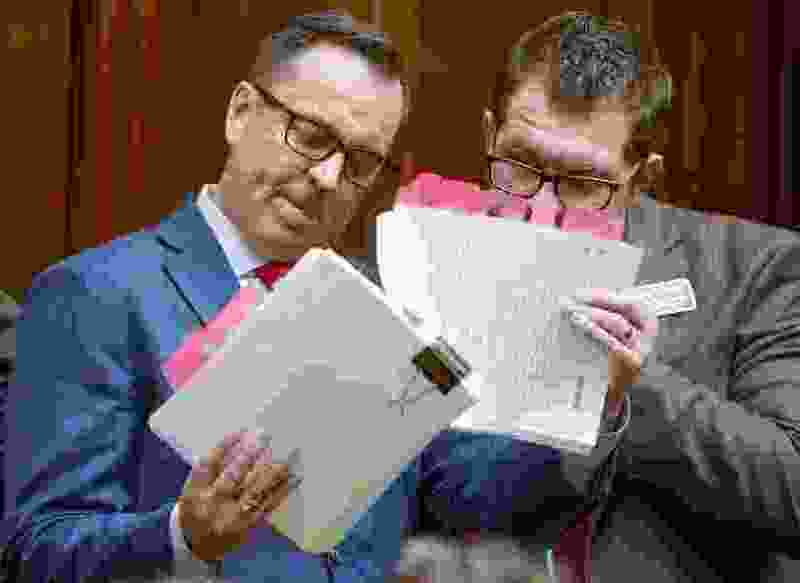 (Leah Hogsten | Tribune file photo) House Speaker Greg Hughes, R-Draper, left, thumbs through his proposed legislation with Michael Curtis, from the Office of Legislative Research and General Counsel, while answering questions about his bill for House members. I have a couple questions for our Utah House and Senate leadership regarding citizen initiatives, as voted on by citizens. Since when did initiatives become a non-traditional legislative process to be appropriately balanced with a more traditional process? Does not the state Constitution allow its citizens to initiate the legislative process? When I voted for Propositions 2 and 3, I voted in favor of them, fully expecting them to become law as written. I did not vote for them in order to be helpful and let you know what I'm thinking and then have the Legislature completely disregard the will of my vote. I can accomplish that by writing a letter to The Salt Lake Tribune.